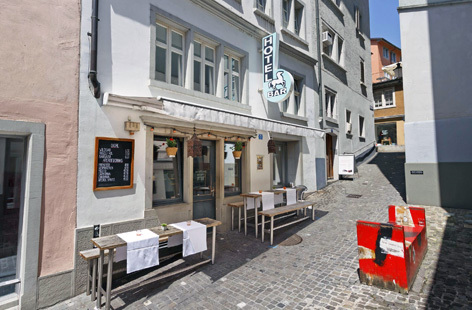 Zürich, a long ago Roman encampment on a lake, has so many hidden nooks and crannies it takes days to explore them all. 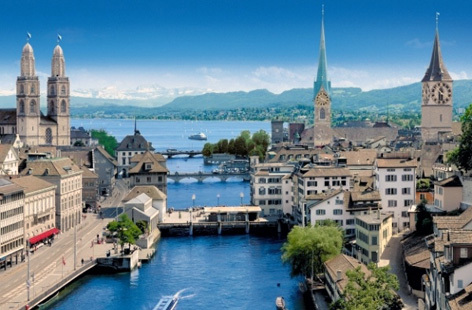 Switzerland’s largest city lies at the northwestern tip of Lake Zürich in the landlocked nation. It’s the country’s major hub for rail, road and air service. 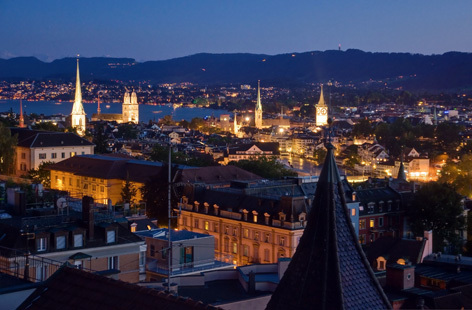 Predominantly German-speaking, Zürich is home to the Swiss Stock Exchange, a broad selection of museums, the Opernhaus Zürich, and ETH, the technical university with Albert Einstein as its most famous alumnus. 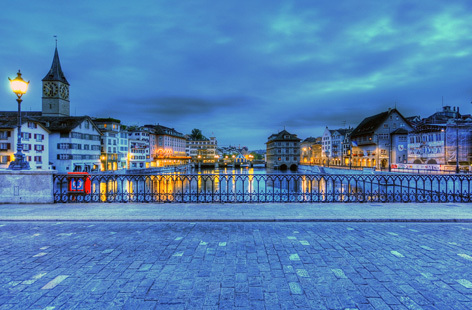 The Limmat River, Zurich and Lake Zurich. Zurich from a low bridge. 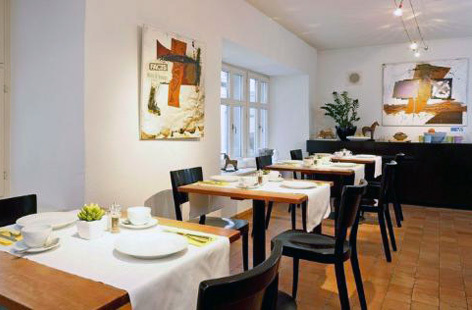 This trendy 27-room hotel, a blend of historic and sophisticated, is located in the Old Town, up the tiny Rössligasse from the Limmat River. 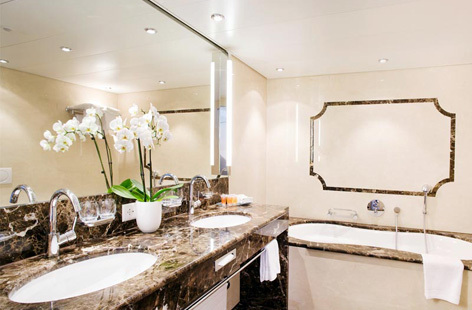 Each room in this 14th and 15th century landmark has unique décor with comforts not usual for a three star: terry robes, wifi and audio control in your roomy bath. 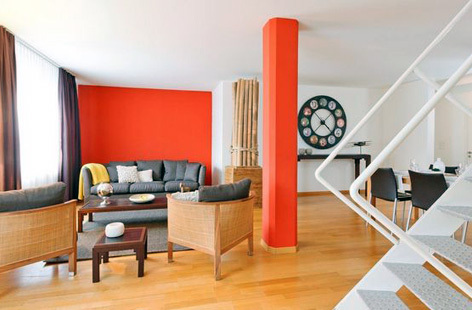 They have two suites: one with a roof terrace overlooking the river, lake and mountains, the other a five-room apartment with two bedrooms, two baths and a roof garden. 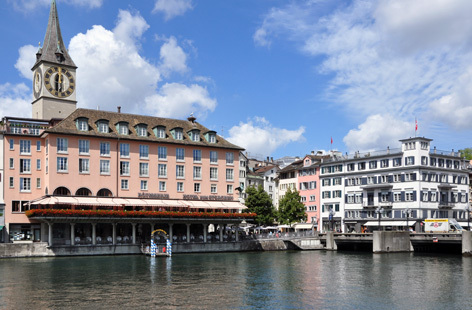 Since 1357 the Storchen has had its dock on the Limmat River with beautiful views across to the Rathaus, old guildhalls and 11th century Grossmunster cathedral. 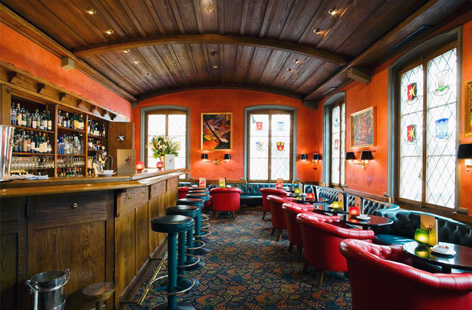 In the winter of 2017 the hotel closed to renovate the rooms, entry and the ever-popular tea salon. 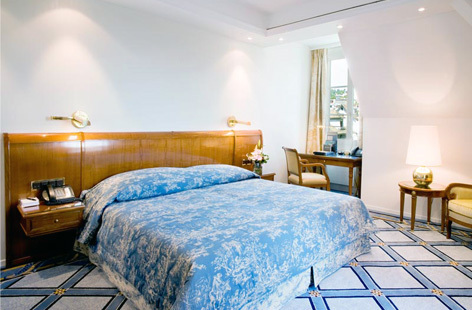 Now there are 66 beautifully designed rooms, many with stork-themed art tying in to the hotel’s name. 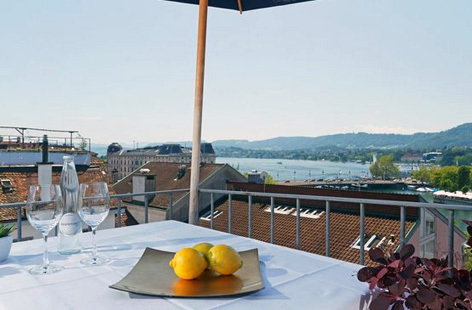 The surrounding neighborhood will entice you with some of Zürich’s chicest shops, restaurants and cafés. 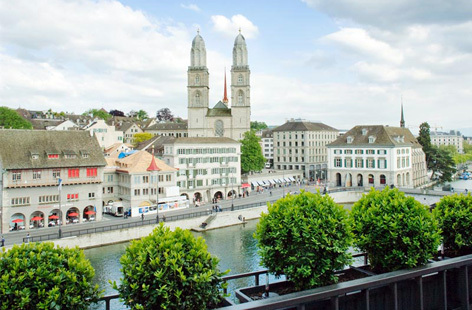 In late afternoon, early evening the bells of the Fraumunster and Grossmunster’s reverberate off the hotel’s riverside façade – such a wonderful experience!